As you hear the voice of the author and listen to her story you will truly understand her courage, persistence and will to live while running for her life for ten years and hoping to escape what so many did not. . . . The courage of one woman to withstand all that she did comes through loud and clear. Her determination and drive to succeed and rise above what others thought of her brings tears to your eyes. You can feel the pride in her heart, the joys of her successes and the fear instilled in her when running for her life. . . . I read this book in one day. Once you start reading you won't be able to put it down until you read her entire story. 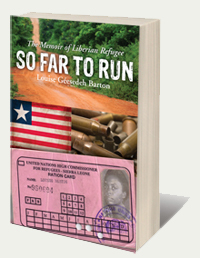 There are few books that have impacted me so deeply as Louise Geesedeh Barton's SO FAR TO RUN. The true story takes us into not just the horrific injustices that people around the world face but what some are doing to make it no matter what the circumstances. Louise shares her amazing journey of being a refugee and and having to life her life on the run, leaving everything she knows just to be able to have a chance at survival. This is one of those books that helps us to understand the difference in just living life and appreciating the gift of life. . . . Rarely is a memoir written in such singularly powerful fashion as this one. With simple, vivid descriptions, the author plunges the reader headfirst into a world of conflict and terror, sweeping the reader along with her as she lives the life of a hunted refugee in a land wracked by war and chaos. Writing passionately but without passing judgment on even the most hurtful of her tormentors, her voice is powerfully genuine and begs to be listened to.
. . . Her memoir tells a tale that is little known in the world today but affected vast thousands upon thousands, and it must and should be read by still millions and millions more. 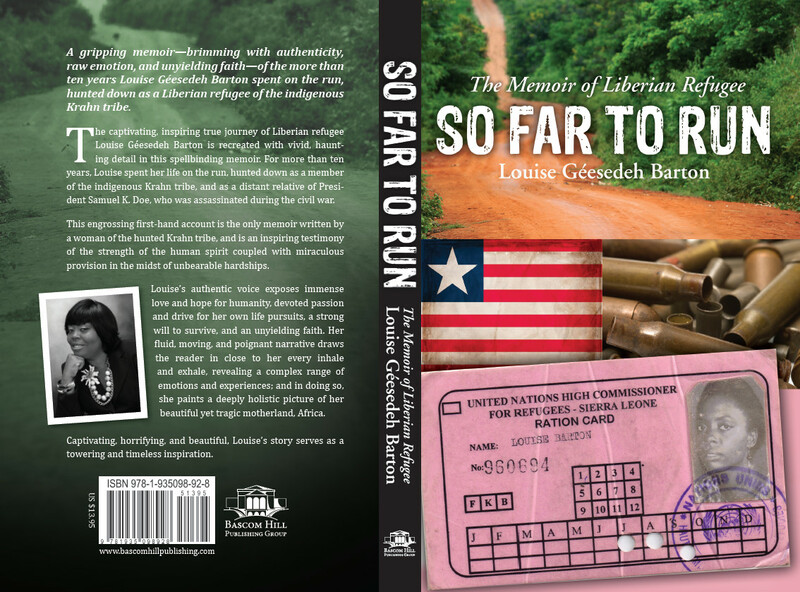 Louise Barton's story is one of universal interest — captivating, horrifying, and beautiful, this memoir reaches beyond Louise’s own experiences and serves as an inspiration for all. . . . In addition to the cultural, political, and historical lessons woven into this memoir, the life of a truly extraordinary woman evolves. Her story caught my breath mid-chest and brought tears to my eyes on many occasions. She has successfully crafted a heartfelt, honest, and raw narration of what turned out to be a most challenging life. Her writing is fluid, moving, poignant. . . .
Captivating, horrifying, and beautiful, Louise’s story serves as inspiration for all. I had so many different emotions while reading this book. It has definitely helped me to look at life in a more positive manner. This author is courageous and brave for tell her true story. This book is a must read you will not regret it! I am so glad to have read SO FAR TO RUN. This book gripped me from start to finish with its stunning recount of the heart-wrenching struggles that this young woman endured and her unyielding spiritual faith on which she relied to survive. Louise Barton is a true inspiration. I highly recommend this book! !